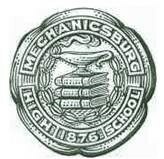 The mission of the Mechanicsburg Area School District archives is to preserve the public documents that can be used by professional historians, students of history, and those individuals interested in the legacy of the school district and the role that public education has played in the community. 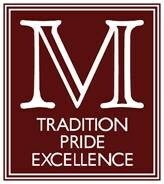 The collection also includes a collection of yearbooks dating back to the first one issued in 1920 and an incomplete selection of school newspapers and handbooks. W. J. Murray at (717) 506-1815 or via e-mail at masdarchives@gmail.com. The collections, which contains almost 1,400 items, has been entered into a searchable database. Anyone with a research question or wishing to make a donation to the archives is encouraged to call the school.